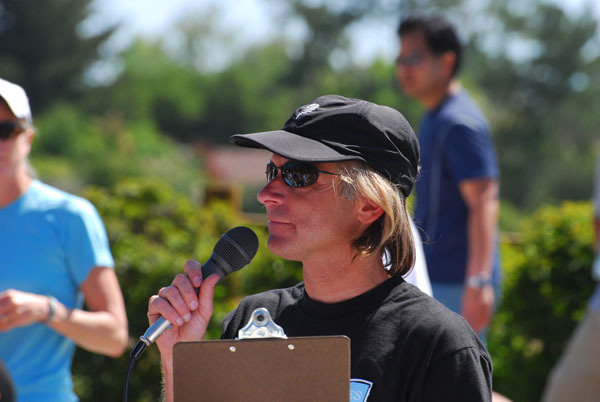 Hello, Race Director Scott here to give you some tips on a successful Los Altos Hills Pathways run/walk 2014! 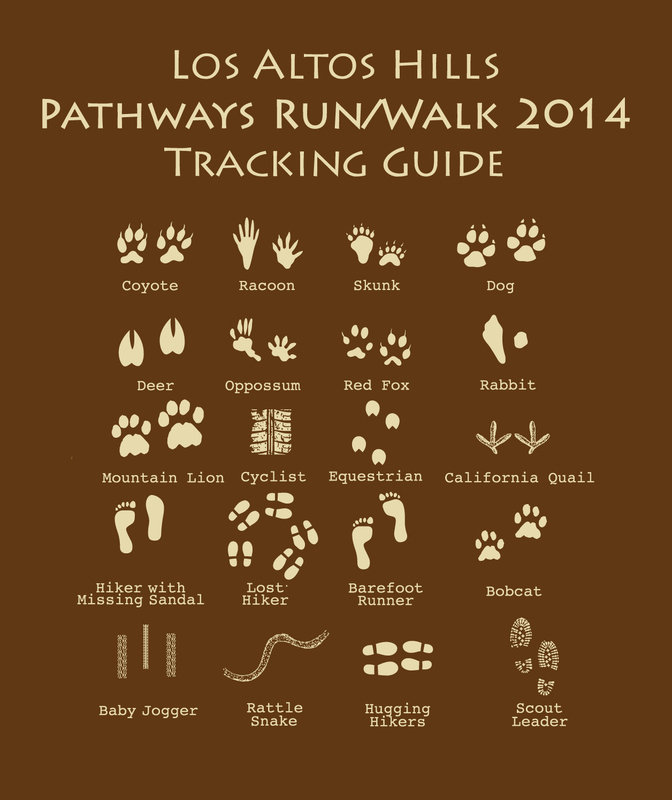 Another wonderful Los Altos Hills pathways/trail run event or walk is being organized for the 13th annual event to celebrate and share our wonderful town pathways trail system. We hope you enjoy the event and come back after the event to explore it further. Here are some helpful tips and information to help prepare for the event. If you are looking for a huge, street wide pavement event with 5,000 runners, this isn’t the event. 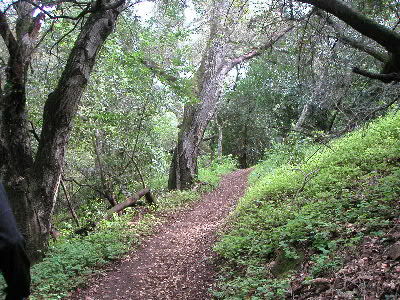 If you are looking for tree and stream lined trails filled with nature, and solitude of running on secluded trails and meeting new trail runner buddies in a smaller, local, friendly running community, you have signed up for the perfect event. You will be sharing the trail with lots of other nature’s creatures, and your pathways run shirt will help you identify some of those other users. 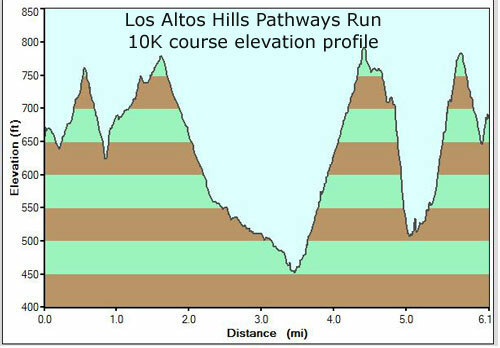 Los Altos Hills has the word “Hills” in its name for a purpose, and this run will help you appreciate the beauty and challenge that comes with our hills of our pathways. 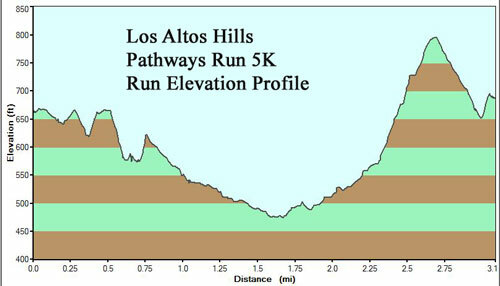 Los Altos Hills Byrne Preserve where you start and finish your races. If you are a serious runner, we post our maps and route elevation profiles on the website for you to review ahead of time. Feel free to review and test the course anytime on foot before or after the race since all of the trails are on public pathways or trails. We are using the same 5K and 10K routes we have used for a few years. The 10K route offers an up and down course so be prepared for another down and up section just when you think you are at the top! The 10K route IS NOT 2 5K loops but a single 10K loop that overlaps partially with the 5K loop. The 5K route is a more of a single down and back up loop. All of the loops start and finish at Westwind Community barn. 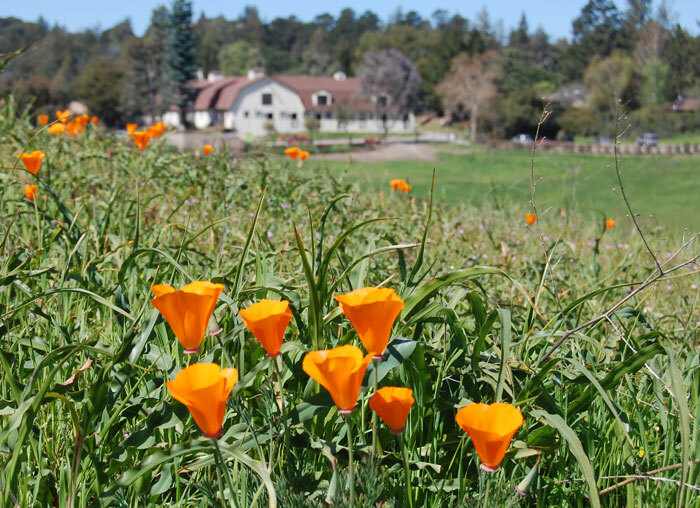 If you are hiker/walker participating, you will find the course still with California poppies blooming and wonderful vista from the hill tops where you can see from San Jose to San Francisco and into Marin. There are 2 water stations on the 5K route and 3 water stations on the 10K course. We are offering race packet pickup at the Los Altos Hills Town Hall on Friday, May 9th from 3-7 PM in the parks and recreation building. We recommend you pick up your race packet which includes your shirt, race bib, timing chip and race goodies. Save the hassle of race day pickup by picking up early. We are also offering a last minute opportunity to register for the race without paying additional race day registration fees of $5 while shirt supplies still last on Friday, May 9th from 3-7 PM. Trail runs are meant to be enjoyed with your friends, so find your favorite running or hiking buddy and invite them to join you for this year’s event! Plan to make your own “footie” at this year’s event! 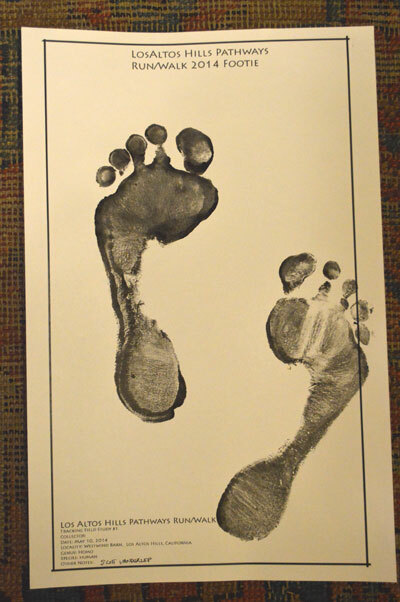 A footie is a tracking print of your foot or shoe for tracking! A special footie print making station will be set up at the race to allow you and your friends and family to make a footie to take home. Looking forward to seeing all of you out at the races.